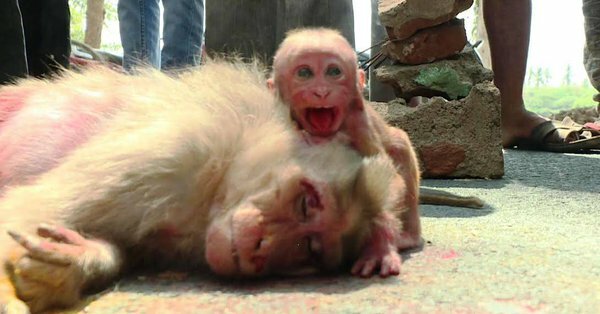 More than 200 monkeys have died and several are ailing in a village of Amroha due to a mysterious disease. Villagers are puzzled and concerned about increasing number of deaths of monkeys. The residents also fear chances of such disease spreading to human beings. The bodies have been sent to Bareilly for postmortem to ascertain the real cause behind the deaths. Samples of food items and drainage have also been collected for investigation. March Madness began in India this week with temperatures of 42 deg C (108 deg F) resulting in people fainting and birds falling out of the sky now Pakistan is reporting similar temperatures and the village of Amroha is suffering similar temperatures, however, there is no direct link to the heat causing the death of these monkeys. In a separate tragedy, this week: More than 150 cows drop dead in 2 hours one by one as owners watched in disbelief in Rangul Kenya under unknown circumstances, under unknown circumstances.